Congratulations to Moira and Chris who tied the knot today. The weather today was crazy! A hot summer day in the mid 90s, followed by severe Thunderstorms, which led into a perfect summer night for a reception! Their reception was held at Kimball Jenkins Estate. Dawn Beauchesne is the event coordinator there and did a truly amazing job! 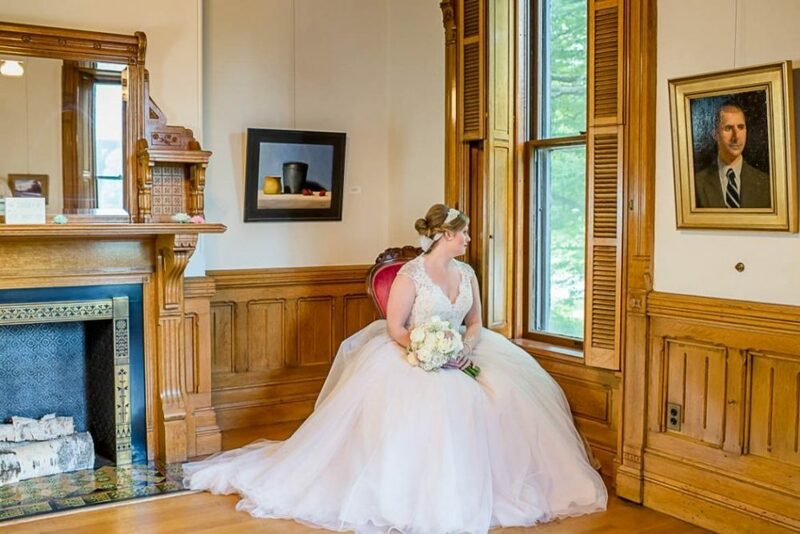 The historic buildings are loaded with a great backgrounds for photos; we felt like kids in a candy store! After the ceremony and thunderstorms rolled through, Marc Nazzaro started the party! Nazzy brings a ton of energy and this family know how to party also! Josh the Videographer also did a great job of capturing the day on video. I’ll be honest, quite often videographers can be hard to work with; they are basically doing the same job! However, Josh was really easy and fit right into our routine! Would highly recommend him! We also met Lily, a sweet little girl who was the life of the party! Her ability to avoid the camera is renowned but we managed to grab a few great photos of her throughout the party! Wedding days can get very long for the Bride and Groom, Moira the bride was a trooper and did everything we asked for photos through the night. Thank you Moira — you persevered through the day through with grace and style! 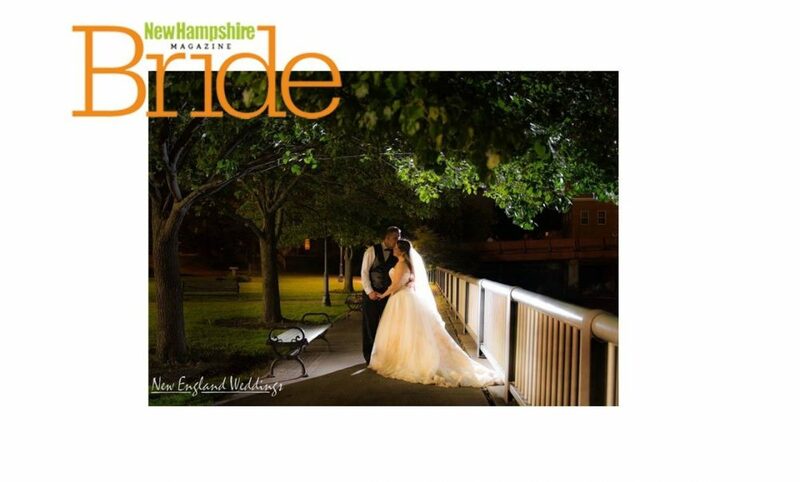 Congratulations to Lauren & Scott who recently had their wedding published in NH Bride magazine! Check out Lauren Conley & Scott Blessington here! Lauren and Scott are two of the most easy going, fun lovin’ people we have met. The good news is we get to see them both again later this summer at their sister’s wedding on the Cape! Let me tell you, anytime we have the chance to shoot a wedding for great people in a great location, we start to look forward to it! Scott and Lauren’s wedding was just so perfect. 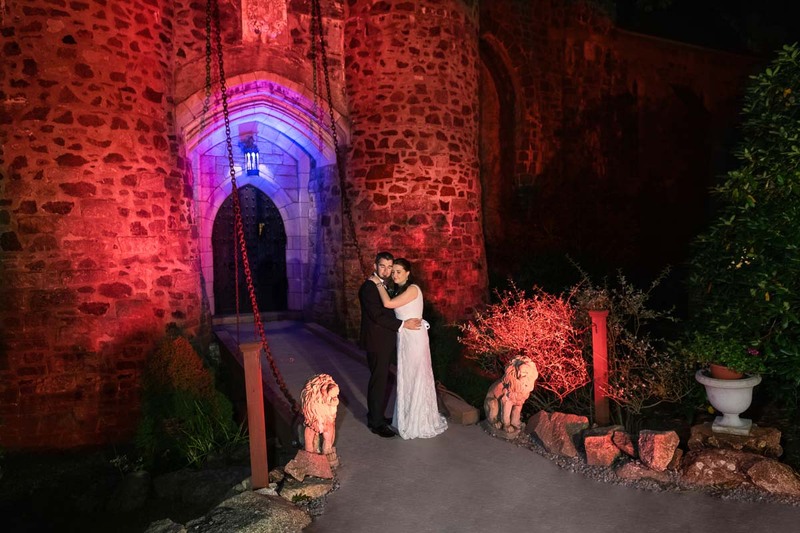 Their reception was at the Belknap Mill and we captured some great shots of them in the old historic building. I also remember a fun shot we took the bridge over the creek. Their entire bridal party were all standing on the bridge while Lana & I hustled downstream to get the shot. We were probably 200 feet apart and using hand signals to communicate with the crowd! Lots of fun! 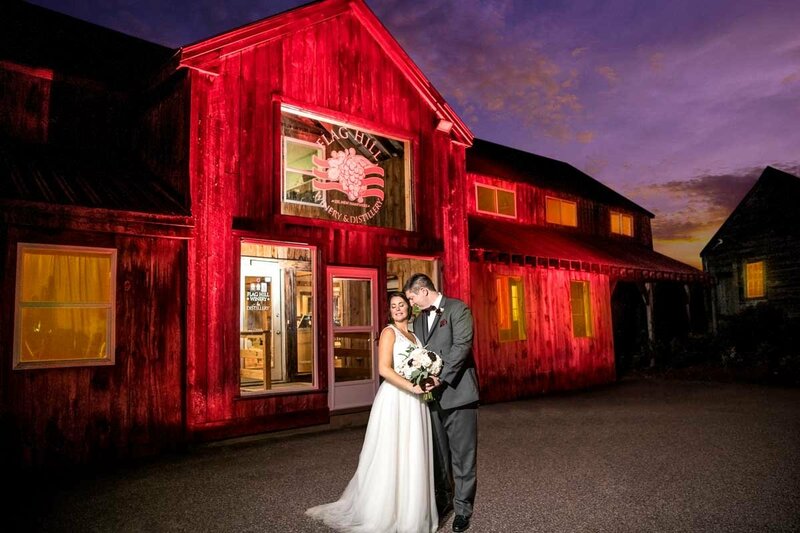 Their Reception Party was amazing at the Mill, because it is loaded with history. We captured some great pictures in the museum section with old machinery. The reception was a blast because our good friend Dave from DJ Entertainment was there to keep the party moving along! We always stress the importance of having a DJ and Photographer working together. Dave does a great job of scheduling the evening’s events and keeping all of the informed of the schedule. 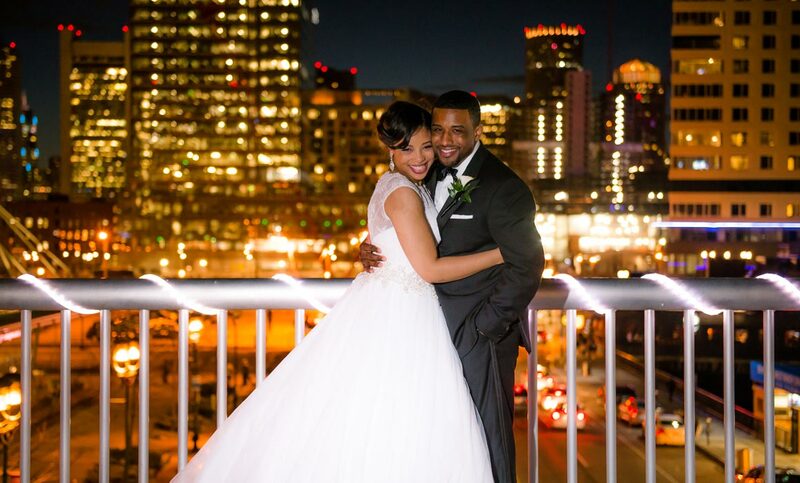 Congratulations again to Scott and Lauren! Now comes the happily ever after part!